Home / Football / Personalities / Vietnam and Calisto: Go Lie Dazed Somewhere! Vietnam and Calisto: Go Lie Dazed Somewhere! 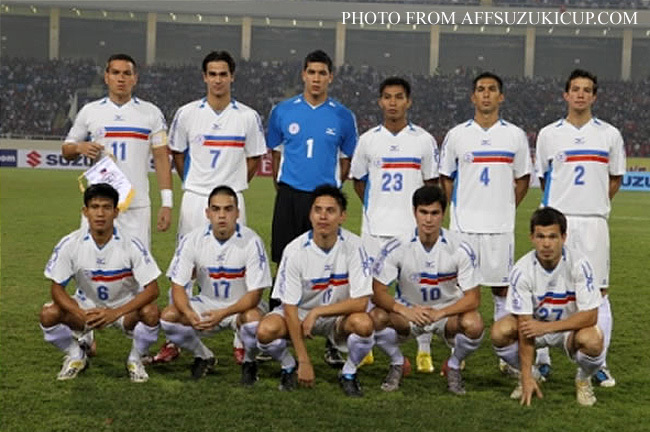 It appears that Vietnam’s Portuguese-born national football coach, Henrique Calisto, was not too enamored with the way the Philippines carved out a historic 2-nil victory over his side – incidentally the defending champion – in the 2010 edition of the ASEAN Football Confederation’s Suzuki Cup currently being played in Hanoi. Uhm… Give me two seconds to figure out how to best describe Vietnam’s coach. Uhm… Ahh… Err… Sour grapes???!!! First of all Senhor, the expression is “park the bus in front of goal.” So, alright! Perhaps, it was not very pretty to watch. Maybe we did park the bus in front of goal. That said, perhaps Senhor Calisto ought to be reminded about certain things. 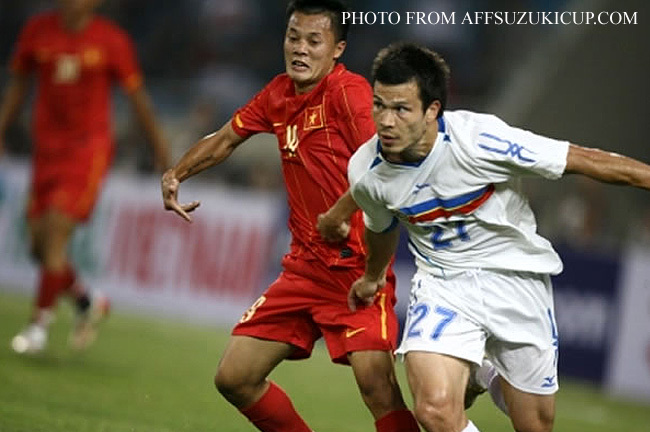 First, his team was the defending champion; second, his team mauled Myanmar 7-1 in the first round of matches just three days earlier; and third, his team was playing in front of a passionate 40,000 capacity home crowd in Hanoi. The Senhor also ought to be reminded that we are the Philippines, a basketball-crazed country; we came to the tournament proper having gone through qualification and had actually failed to qualify the previous two occasions; and our players flew in from all over the world and still probably needed to bed in just to get accustomed to the climate, let alone each other. If this was a Regal Films movie script, then the score at the end of the 90 minutes would have been Vietnam 5 Philippines 0. But this was football; and if Vietnam failed to read the script, so did our boys! Unless the title of the movie was David and Goliath; in which case the roles were acted out to perfection! All I am saying here is that we had every right to park the bus the way we did last night! We asked Vietnam a problem; and it could not find a solution. So why was Senhor Calisto bitching like a mean little girl? To this day in Europe and Latin America, the coach is still referred to very much as the manager – even if the term may have become a bit of an anachronism. Within the context of a team, the coach is – indeed – still very much a manager. Approaching a game, a coach takes into consideration the resources – i.e. the players – that are at his disposal; the best possible system to make use of these resources; the resources and the system of the opposing team; and the playing environment. Short of arming players with AK-47s and telling them to gun down their opponents, who’s to say that one way of playing is better than the other? At the end of the day, it is the achievement of a goal – i.e. winning – given the resources available and the conditions of the day that matters. Face it Senhor Calisto, you were out-thought by Simon McWho – McMenemy, sorry! – in the Philippine camp. McMenemy – who managed non-league clubs in the UK – knew he did not possess a lot of creative players; but also that he had more than just an edge in the robustness department. In all fairness, the more sophisticated British pundits on television would have gushed at our team’s thoroughly professional “away-team” performance. In 1976, a Liverpool FC team that had the likes of Kevin Keegan and John Toshack parked the bus at the Nou Camp to achieve a memorable 1-nil away win. Barcelona fans started throwing seat padding onto the pitch to protest their team’s inability to break Liverpool’s defense down. Liverpool was simply doing what it had to do; just as our team did what it had to last night in Hanoi. I have seen Philippine teams in the same competition before that I felt could have used a little bit of McMenemy’s organizational and tactical savvy. It is not so much that the players we have now are so much better; it is just that the whole team is so much more disciplined and organized. There were just a few occasions last night when I thought we lost our shape; but these moments were fleeting. Make no mistake about it; our boys worked incredibly hard to earn that victory. Those who are not into football will probably never understand how much orchestrated movement it took to keep out a fleet-footed and sweet-passing team like Vietnam. The fact that most of the Vietnamese shots came from deep in midfield shows how solid our defense was last night. So, no offensive system Senhor? You might have missed looking at the scoreboard. I believe our team scored both of the night’s goals. Whatever Calisto had to say about the way we approached our game, the goals we scored were of the highest quality and can pass for goal-of-the-week contenders at any level. Greatwich’s twisting diving header probably had a bit of luck in it. That said, the cross was superbly accurate; and for Greatwich to be able to glance the header into the corner while diving forward required great athleticism. Phil Younghusband’s goal was coolness personified; but it was Araneta’s vision in finding an onrushing midfielder – who played the ball first-time to Younghusband – that caught my eye. For all its elegant passing, Vietnam could have used the sort of vision Araneta wielded in that split second of magical inspiration. Lose with honor, then, Senhor Calisto? There is no honor in slagging off an opponent for simply playing to its strength and with a superb work ethic normally associated with full-time professionals. Simple congratulations to a team – and a country – that has achieved so little in the international stage of this beautiful game would have been much more appropriate and honorable. Your team can still win this, of course! Why attempt to take the gloss off our victory when it is the first time we are winning a bit of acclaim and there is even no guarantee that we will not sink back into the backwaters? For last night at least, your team missed the stone we had in our slingshot; now you and your team go lie dazed somewhere while we savor our victory!